Last week, Sojin of the K-pop girl group Girl’s Day decided she is leaving the Dream T Entertainment label when her contract expires in February. The announcement left fans in shock, with many questioning whether this was a prelude to the disbandment of the 9-year-old four-piece act. Though the agency denied it, other members Yura, Minah and Hyeri are reportedly in contact with other agencies about pursuing individual activities as their contracts are set to expire later this year. But Sojin’s impending departure wasn’t entirely unexpected. 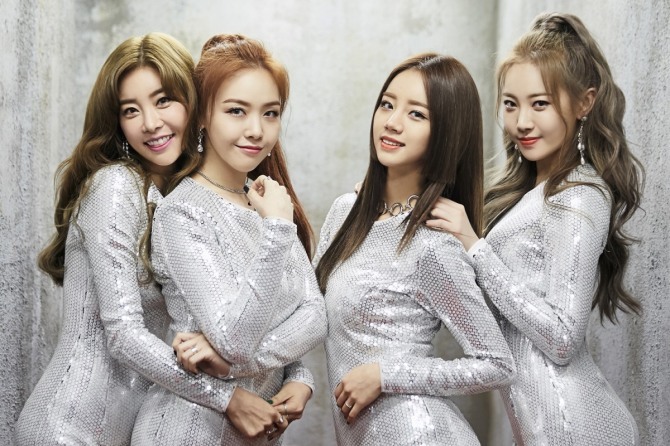 Girl’s Day, which debuted in 2010, is one of those rare girl groups to have survived the notorious “seven-year curse,” so called because that’s when idol groups tend to disband or lose a member. 2NE1, 4Minute and Sistar disbanded after seven years together, and it was in the seventh year that Jessica left Girl’s Generation and Sunye and Sohee parted ways with Wonder Girls. Unlike boy groups, which often stay together long-term despite the reality of mandatory military service for men in South Korea, few girl groups stand the test of time. What’s behind this? Industry watchers say age is an important factor in an industry where “the younger the better” is more than just a slogan. The average age of the Wonder Girls band members was 16 when the band made its debut in 2007; the same year, the average for Girl’s Generation was 18. Twice had an average age of 18 in 2015 and April’s average age was 16, with the youngest member, Jinsol, being only 14 at the time. Red Velvet and Blackpink had an average age of 20 in 2014 and 2016, respectively. With few exceptions, female K-pop stars are 20 or younger when they enter the scene. While boy groups tend to make their debuts at similar ages, they last longer. As attested by groups like 20-year-old boy band Shinhwa, 14-year-old Super Junior, 13-year-old Big Bang and 11-year-old SHINee, age seems to matter less for all-male acts. The short shelf life of a successful girl band -- usually no more than five to seven years -- means that members have to find ways to become relevant in the industry afterward. Vocalists tend to break away and go solo, as in the cases of Bada of S.E.S., Lee Hyori of Fin.K.L., HyunA of 4Minute, Sunmi of Wonder Girls, Hyorin of Sistar and CL of 2NE1. Many of these singers thrive in their solo ventures on the strength of their singing skills and the loyal fans that support them. Another popular choice is acting. 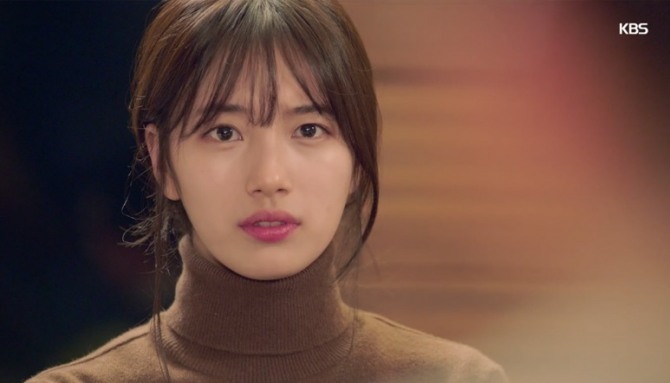 Turning on the TV, it is easy to spot idol group members in the latest dramas and films. Girl’s Day members Hyeri and Minah have both built successful acting careers since “Reply 1988” in 2014 and “Beautiful Gongshim” in 2016. Meanwhile, Uee of After School and Suzy of Miss A are among the most sought-after actresses. That’s why big-label agencies recruit multitalented trainees -- girls who can sing, write songs, dance and act. A multitude of skills allows them to seamlessly shift careers in the future. The infamous “seven-year curse” coincides with the age when most girl band members reach their mid- to late 20s. The seventh year is also the time when most contracts expire, in line with a 2009 rule from the Fair Trade Commission stipulating that contracts between artists and agencies cannot exceed seven years. After seven years, the artists can decide whether to renew or leave. Often, one or two band members find better terms with another label -- and that’s one reason many girl groups separate. Boy groups tend to stay together in spite of such disparities because they are aware they are better together and because they have stronger and larger fan bases, Lee added. That’s because boy groups profit mainly from concerts, album sales and merchandise, all of which require the participation of all members. Larger and more devoted fan bases are another major factor behind their longevity. In the K-pop industry, where female fans are in the majority, boy bands have an advantage. There are girl groups with large fan bases, such as Girl’s Generation and Twice, but even their fandoms fall behind those of boy groups in terms of sheer size, money spent and devotion -- though fans’ devotion is hard to measure. Die-hard K-pop fans don’t just watch their favorite bands on TV, but drop big bucks to go to concerts frequently, pay for ads in subway stations across Seoul and Times Square in New York City, buy albums and merchandise and do philanthropy. They also tend to stay loyal, making a lifelong commitment to follow their favorite groups even as they get older. Taking their lead from these loyal followers, boy bands unsurprisingly tend to stay around longer. Even if they disband, they might still decide to make a surprise comeback after 10 years, as in the case of veteran boy group g.o.d, which is dropping a 20th anniversary album and holding concerts for fans that have pledged their allegiance to the group since 1999.